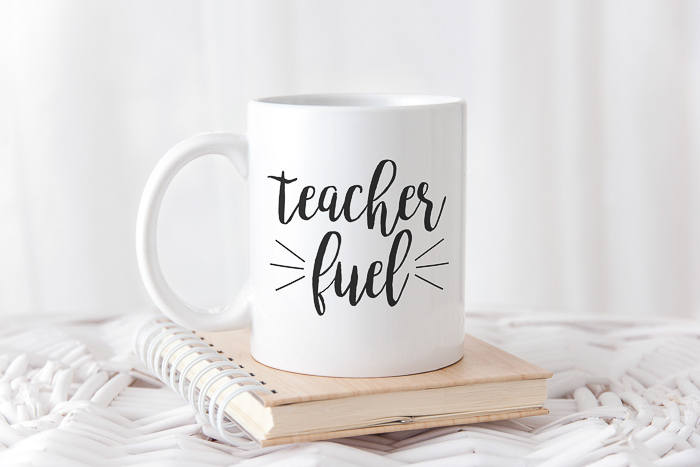 First, you will want to download the free teacher fuel SVG file below. Just add your name and email to the box below and the file will be sent to your email for download. If you have issues, please email [email protected] and I will try to help resolve those. Also, note that this file is for personal use only. Please contact me for commercial use. 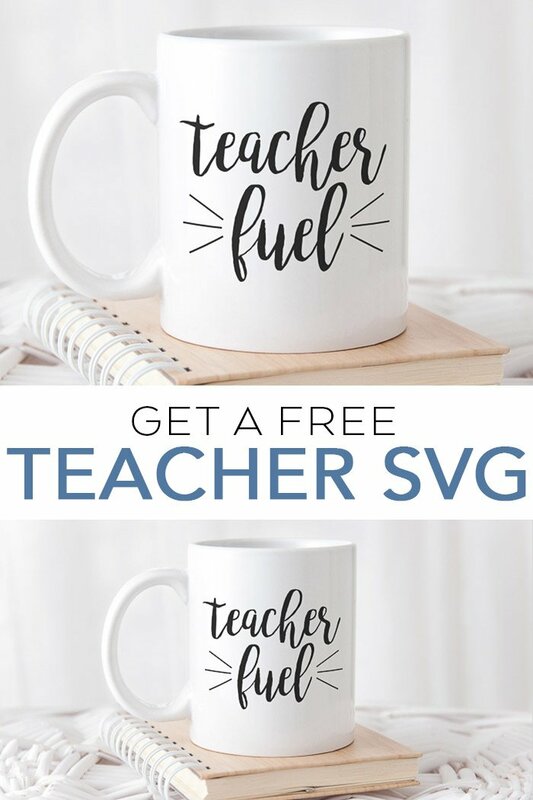 Now that you have your free teacher SVG. How do you use it? When it opens on your computer be sure to save it somewhere that you can find it. Then open the software for your cutting machine and upload the file. You can click here to see how to do that if you are using a Cricut machine. You can then cut the file from a variety of materials. 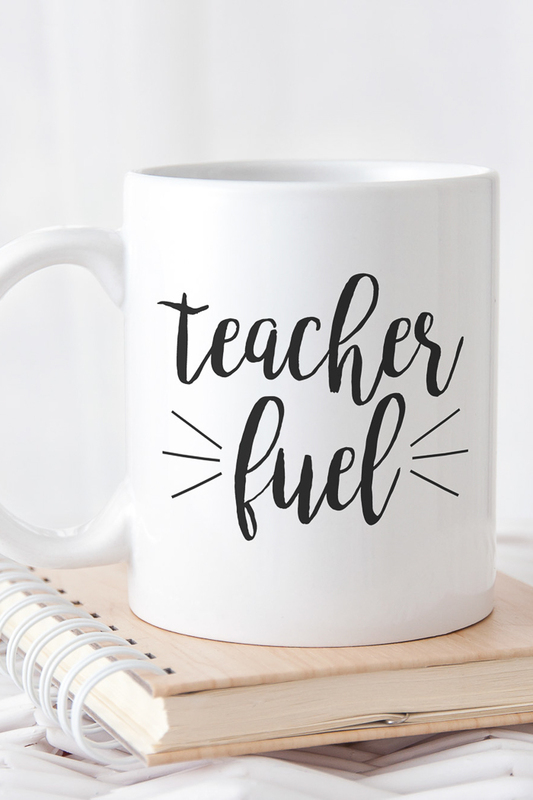 Here we cut this free teacher appreciation SVG from vinyl and added it to a coffee mug. I actually did a comparison here on which is better for mugs – regular vinyl or heat transfer vinyl. Be sure to read that before you decide which to add to any cups you may be making for the teachers in your life. 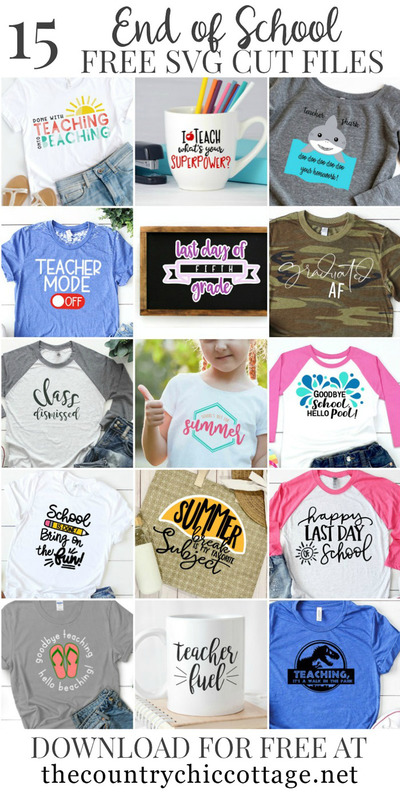 So, now you may want some more options for your end of the school year crafting. We have 15 files so that you can have a free teacher appreciation SVG for every teacher on your list. We regularly have free SVG files that you may like. If you want to make sure you don’t miss any of them, be sure to head to this post and sign up for our free SVG files newsletter. Then you can download out freebies every month and build your library of free cut files for your machine. So, download this free teacher SVG of any of our other files above. 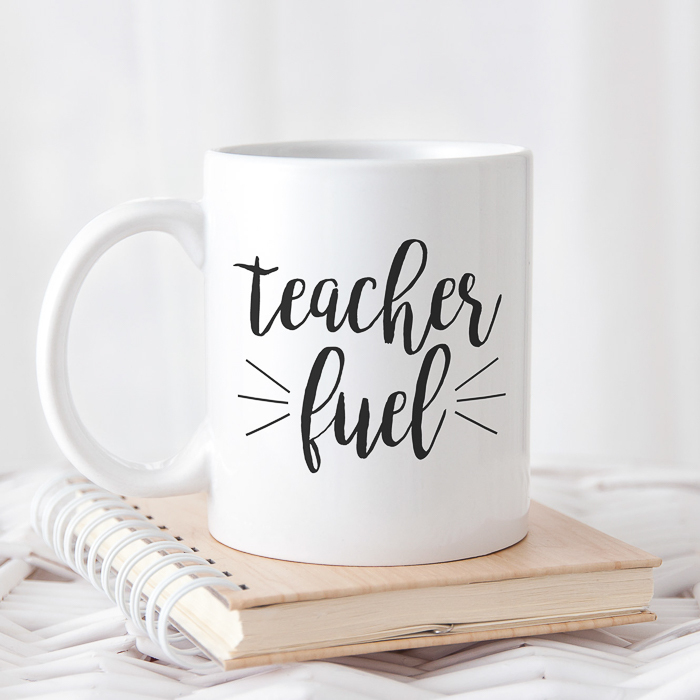 A free SVG file is an inexpensive way to make a teacher appreciation gift or something for the little one that is getting out of school for the year!